Do you have a viable idea that uses a new or emerging technology to radically reduce costs, increase efficiency or improve sustainability, quality or compliance during construction or throughout the built life cycle? Enter to win cash prizes, R&D funding, investment in your business and exposure to influential leaders. We’re on a mission to discover people from all over the world with innovative ideas that have the power to positively impact the built environment, and our society. 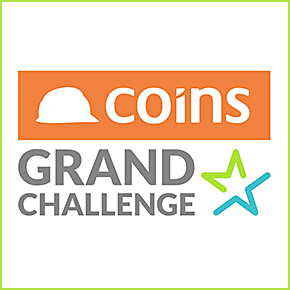 All finalists receive an expense paid trip to Manchester, UK for the final judging and Gala Dinner and Awards Ceremony and the COINS 2019 User Conference.